Yes, peace flag house is a house. Peace Flag House’s name comes from the two rainbow peace flags that fly on the front of the house. These flags have become a bit of a neighbourhood landmark. We put the flags up in 2013 because we live across the street from a high school and we know there are high rates of homophobic and transphobic bullying in our schools. We wanted any kids at the high school that may be struggling with bullying and acceptance to know they weren’t alone. Putting up the flags felt like a simple act. But those flags sparked an ongoing wave of hate crimes targeted at our house. Homophobic graffiti, stolen flags, broken flag poles and slashed tires became normal. But those flags also brought the neighbourhood together in the most spectacular way. Pascal tells the full story here for Tedx Ryerson. Peace Flag House has become short-hand for our ethical luxury perspective: we choose to answer hate with inclusion, anger with love and injustice with delight. We believe in creating the world we wish to live in and we believe in delighting in the process. We have learned through our experience with community development, education and digital communications that stories are the essence of this work. Stories change minds, shift perspectives and most importantly they build connections. Whether chatting with your neighbour, posting on Instagram, building a web site or hosting a big PR event, delighting your audience with the story of the good you bring to the world is invaluable. Raised on a farm in rural Ontario where the ability to tell a good story is a key social skill, Sarah Jean discovered at an early age her knack for uncovering the heart of a story and engaging people in its telling. Sarah Jean admits to being ridiculously friendly and leads the creative charge at Peace Flag House, dreaming up alignments, connections and strategies that bring clients together with their best audience. With a love of ethical luxury and a dedication to long dinners, Sarah Jean jumps at the chance to translate brands into stories and experiences that open hearts and delight the senses. Pascal Murphy was never one to follow the crowd. As a student at Kings College at Western University, Pascal created his own undergraduate degree, Social Justice and Peace Studies, which became one of the College’s most popular programs. Pascal founded Peace Flag House with Sarah Jean in 2010, dedicating the space to bringing positive social change to the world one small, glorious step at a time. 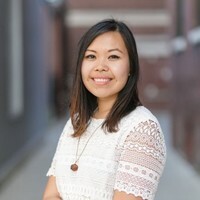 Justine Abigail Yu is a communications and marketing strategist who has worked with organizations operating in North America, Central America, East Africa, and Southeast Asia. Her expertise lies in growing enterprises from the ground up through strategic digital marketing, compelling storytelling, and genuine community engagement. Justine is also a fierce advocate for diversity, representation, and ethics in marketing. She also recently launched Living Hyphen, an emerging magazine that explores the experiences of hyphenated Canadians and examines what it means to be part of a diaspora. 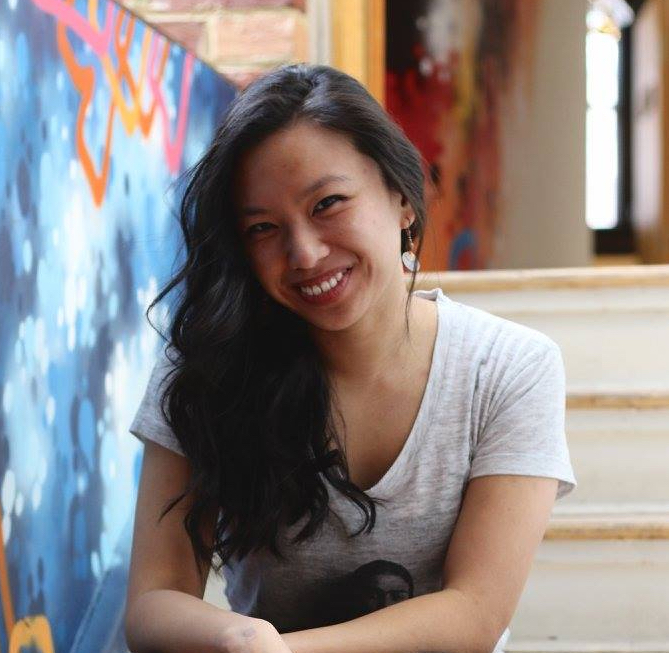 Justine Abigail’s mission is to stir the conscience and spur social change. Gelaine Santiago is the brilliant mind behind many social media successes in the ethical fashion and lifestyle space. Her approach to content marketing and social media is grounded in authentic storytelling and community engagement. Gelaine is known for her capacity to find the gem in every story and share that insight with a brand’s ideal audience. Gelaine is the co-founder of Cambio & Co., a ethical fashion marketplace that highlights the beautiful work of Filipino artisans and social enterprises. Kareen Awadalla spent the last six years contributing to development projects with various non-profits and NGOs both overseas and at home. Winner of York Region’s 2015 Character Community Award for Young Adult Citizen of Character, she was recognized for her work in the Philippines and in her hometown of Newmarket, Ontario. A Journalism alumna from University of Toronto and Centennial College, Kareen currently lives in Toronto where she writes purpose driven stories with what she calls “the write vibes” for clients dedicated to positive social change.